We love the Aria Hotel for a long weekend of beauty sleep and mimosas, but for smaller weddings with punchy wow factor, the Aria might be at the top of our list. 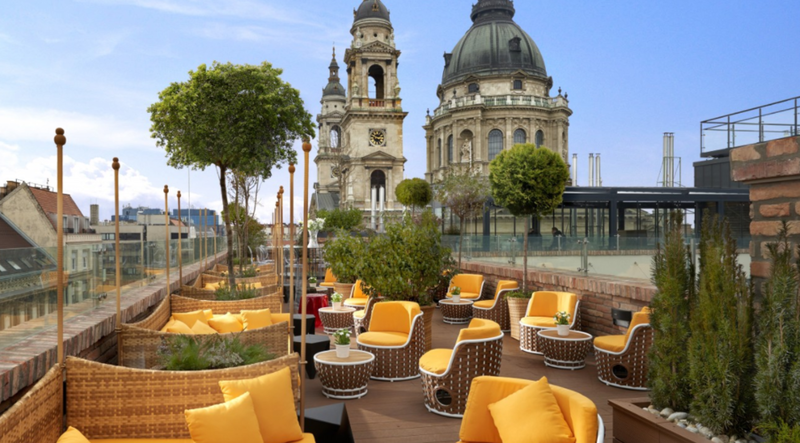 With breathtaking panoramic views of Budapest’s historic architecture and a mere minutes’ walk from St. Stephen’s Basilica, there could hardly be a more photogenic location in all of Budapest. Perfect for intimate weddings with only your closest friends and family where you can toast your new adventure under the glorious Hungarian sky.